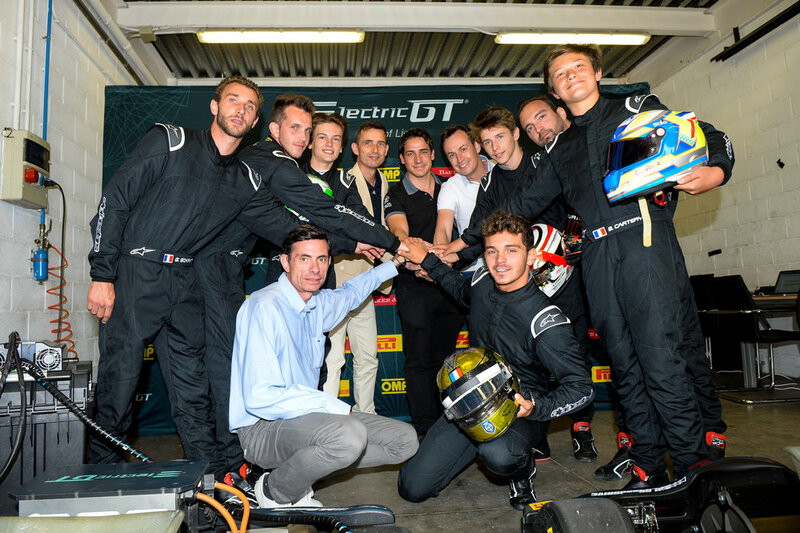 7 members of the VENTURI NEXT GEN - the first academy dedicated to electric motorsport drivers - completed an eKarting Series test with Electric GT Holdings yesterday at Motorland-Aragon in Spain. Seven drivers from VENTURI NEXT GEN Academy took part Wednesday 13th June in a eKarting Series test on Motorland-Aragon race track: Pierre-Louis CHOVET, Benjamin CARTERY, Dorian BOCCOLACCI, Arthur LECLERC, Maxime PAIN, Kevin LEAUNE and Gaëtan GOARANT. VENTURI, the Monegasque electric vehicle manufacturer and owner of the VENTURI Formula E Team, launched VENTURI NEXT GEN Academy in March 2018 and aims to take budding young drivers to the very top of electric motorsport, making VENTURI once again one of the pioneers of a new era. For decades, the karting track has been the proving ground for the next generation of racers and the Electric GT eKarting Series will create a path for young talented drivers to top-level international racing. Manufactured by Play and Drive, up to 20 Electric GT eKarts will take to the race track for the first event later this year as part of the 10-race Electric Production Car Series championship. The trio of race categories will also include the Electric GT eSports Series, offering a gateway from virtual racing to the circuit. “The Electric GT eKarting Series really is the first junior category of its kind for all-electric racing and the racing community has seen the series as an ideal proving ground for young drivers who want to compete at the highest levels of electric motorsport. VENTURI is a proven pioneer in EV technology and it is a pleasure to see their VENTURI NEXT GEN drivers get behind the wheel of our EGT eKarts as part of their development.” - Mark Gemmell, CEO Electric GT Holdings Inc.
VENTURI NEXT GEN will keep a close eye on Electric GT eKarts development.